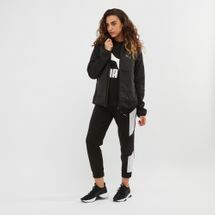 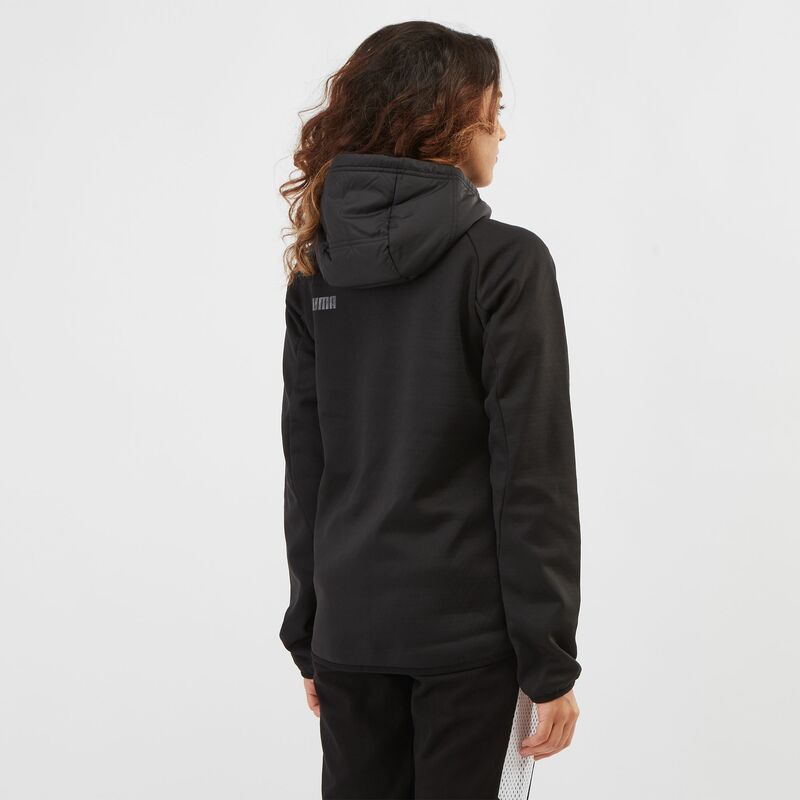 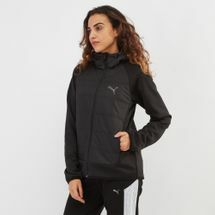 Be prepared for anything with the PUMA Hybrid Padded Jacket for women. It features a water-repellant finish on the fabric, warmCELL technology and adjustable to protect you from the rain. 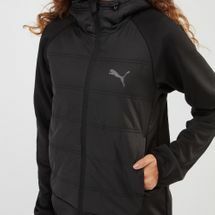 It has a storm flap with chin guard and articulated sleeves.